For several years Rose Hill has been a part of a very good work called Partners 4 Africa, headed up by a very special couple, Dorian & Cheri flynn. 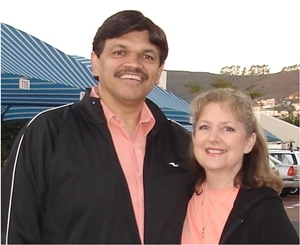 This ministry is dedicated to improving lives and spreading the gospel to people in Swaziland, Zimbabwe, and South Africa. Every year we send at least 400 banana boxes filled with clothes and textbooks. 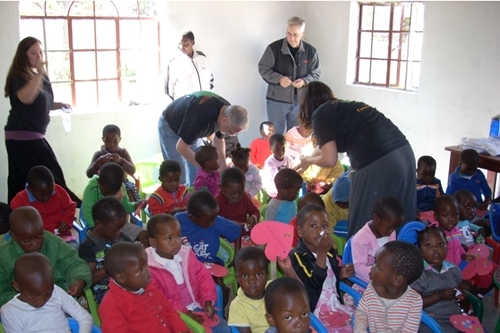 We financially support the feeding of hundreds of families and orphans every week. 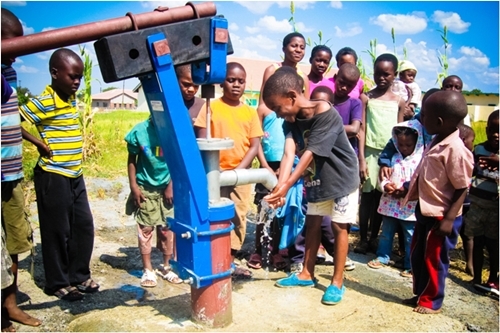 Our donations are also used to dig wells in areas where clean drinking water is greatly needed. And people who are hungry for the gospel are being spiritually fed and being brought to Christ. 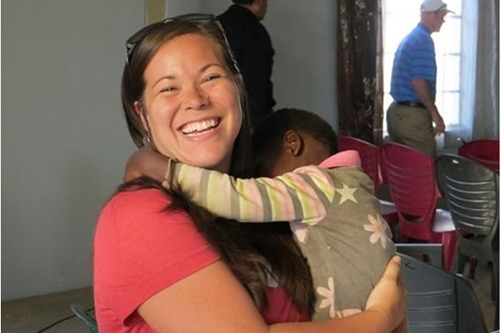 Twelve members travelled to Swaziland in the summer of 2013, and members have the opportunity to go on regular mission trips. 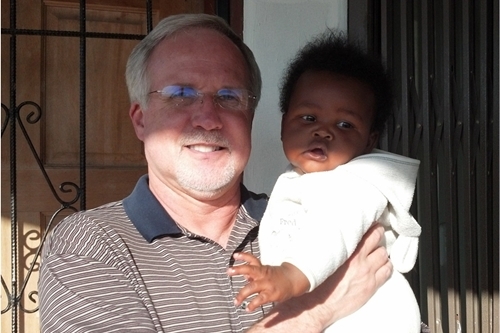 Click here to go to Partners4Africa.com. In many parts of Zimbabwe, one of the biggest problems they have is a lack of water. In fact, it was reported in the news just a few months ago that certain areas were experiencing the most severe drought in a decade. Over 9,000 cattle died in the southern province of Zimbabwe. Life expectancy in Zimbabwe is typically 37 years because of the absence of clean drinking water. More than half of Africa’s people lack access to safe drinking water. Women walk up to three miles daily to retrieve water for their families. Of all the renewable water available in Africa, each year only 4% can be used. Most Africans lack wells, canals, pumps, reservoirs, and other irrigation systems. 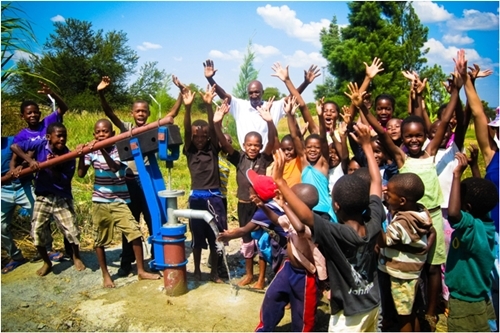 Since 2005, Partners 4 Africa have drilled more than 30 wells at a cost of around $4000 apiece. Our support is helping to bring water to people who need it most. 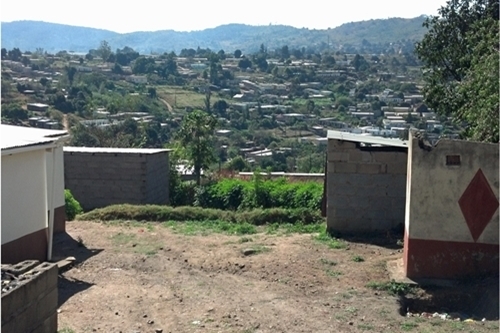 Water provides vegetation, sanitation, and growth. Water gives life. Through this wonderful effort, brevity of life is reversed and opportunities to share Jesus are multiplied. A.C.T. stands for African Container Transport. At Rose Hill, we think of it more as the Banana Box Project. 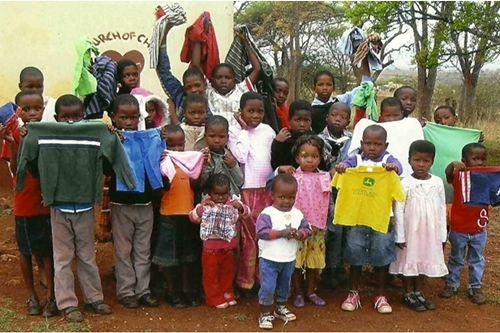 Every year we contribute enough clothing, books, and other items to fill more than 400 banana boxes. These get combined with more boxes from other congregations, and they are then shipped in 40-foot containers. In the past 5 years 16 containers have been shipped to Zimbabwe and Swaziland at a cost of around $7000 each. Each container supplies 30 congregations, who in turn, distribute to needy families and schools in their community. 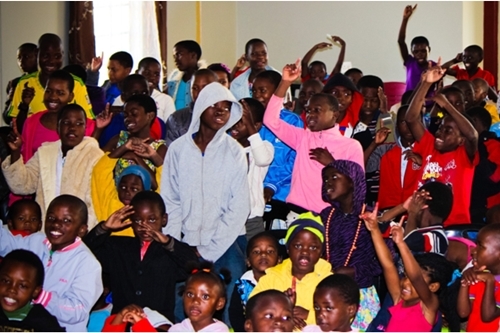 In our recent trip to Swaziland, we saw children and adults wearing clothes that came from this congregation and others. 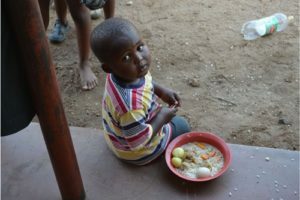 Both Swaziland and Zimbabwe seem to be overflowing with poor and hungry children. 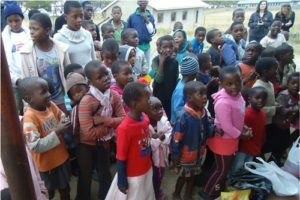 One of the grim realities of southern Africa is the abundance of orphans and other vulnerable children in every community. A huge contributing factor is the HIV/AIDS pandemic that plagues that part of the world. That, along with extreme poverty, results in a truly sad and tragic condition. 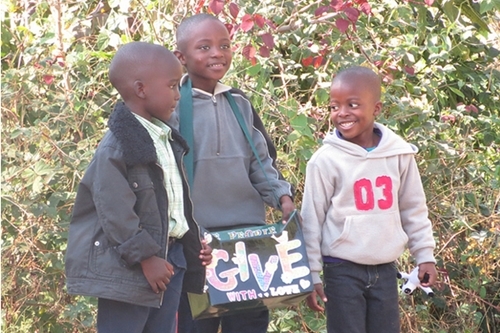 Partners 4 Africa is working very hard to make a difference. The meals aren’t fancy: corn meal, beans, rice, two to three vegetables, and a little meat. But children who once were starving are now being fed, on average about 700 children every week. 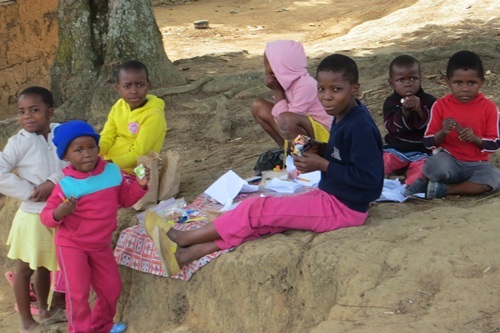 We saw it at a couple of different places: small children walk as much as a mile to come to where they can get food. They each come with a small bowl. Some of them have spoons; others just use their hands to eat. 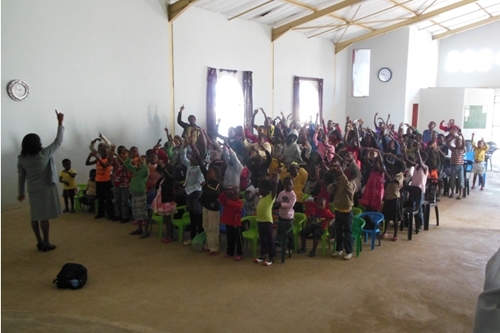 But no matter how hungry they might be, before the children are fed, they sit patiently with great attention and participation in a Bible lesson and in singing songs. This is a focus on youth and teens, not only bringing them to Christ, but helping and encouraging them to develop ideas, plans, and resources for serving and changing their communities. In the past couple of years they have hosted 7 different Y.E.S. rallies (3 in South Africa, 3 in Zimbabwe, and 1 in Swaziland). They have immersed 36 teens into Christ. Each youth rally includes relevant Bible lessons, praise and worship sessions, group discussion time, and relationship-building activities. Their philosophy is: those who can point young people to Christ the best are other young people. S.H.I.N.E. 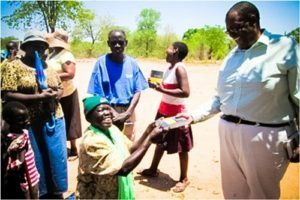 stands for “Spiritual Help in Nurturing and Equipping.” Partners 4 Africa does a host of things to help Christians continue to grow spiritually and numerically. 2013 Swaziland In June of 2013, twelve members of the Rose Hill church family travelled to Swaziland on a two-week mission trip. 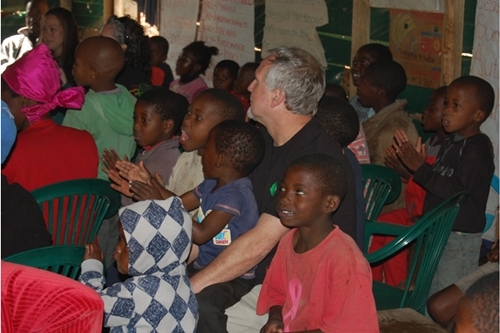 Part of that trip was spent working with the church in Matsapha where we conducted a Children’s Bible Day and a Gospel Meeting. 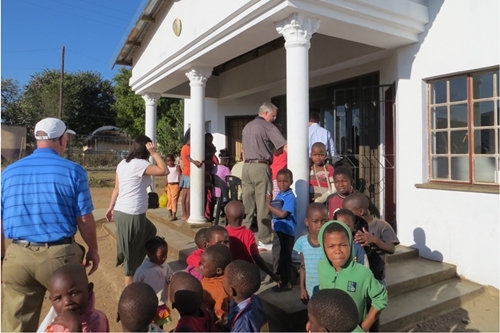 We also visited with people in the surrounding community, and we helped feed orphans at several different locations. 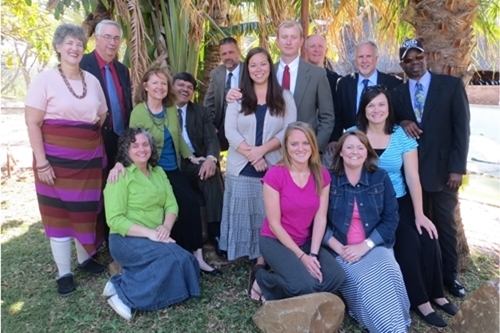 We also worshipped and worked with the Tubungu congregation, and we visited the African Christian College. 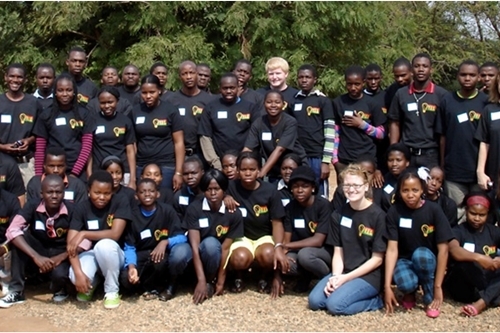 2015 Zimbabwe On July 4, 2015, ten members from Rose Hill travelled to Zimbabwe on a two-week mission trip. 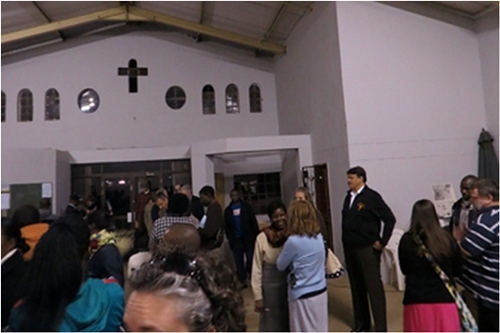 We met with several Christians in Bulawayo, worshipping with them and encouraging them in their work. 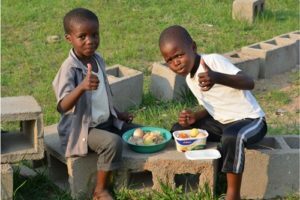 One day was devoted to teaching at nearby Charter House High School, and another day was spent teaching and feeding children at the Airport School just outside of Bulawayo. 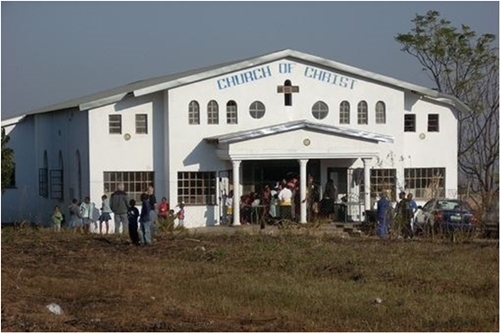 Several churches were visited throughout the region. 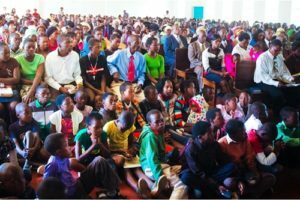 We met with believers in the city of Bulawayo and out in the bush (areas outside of any city where people walk for miles to attend church services, schools, etc.). A Saturday was spent with our ladies doing a Ladies Day for several in that area, and our men spoke at a Preachers Day with over 100 in attendance. We were also blessed to visit the Amazon Health Clinic which serves many in an area where no other such facility exists. We also walked the 70 acres which have been given for a high school to be built in the coming years. 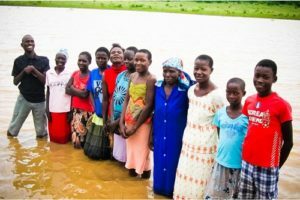 God is continuing to do great things in this part of the world, and Rose Hill is blessed to join with Partners 4 Africa in this good work.